CINX's new extension will promote competition among the existing data centre operators. Internet exchange point operator, INX-ZA, has extended Cape Town's Internet Exchange (CINX) to a third location, in a move to boost Internet connectivity in the mother city. According to the company, the new INX facility, situated in Diep Rivier, is positioned close to the many Internet service providers (ISPs) and others that interconnect at CINX in order to route Internet traffic locally to save costs. INX-ZA began operating as a project of the Internet Service Providers' Association (ISPA) in 1996, with the establishment of the Johannesburg Internet exchange (JINX). Additional exchanges in Cape Town and Durban (DINX) were established over time. Today, the JINX connects more than 100 networks on the African continent. Malcolm Siegel, board member of ISPA and INX-ZA committee member, made the announcement at iWeek 2018 this week: "The good news for the Cape's online community is rolling in thick and fast. Not only did Cape Town's INX recently become a multisite, but we now have three INX locations up and running. INXs help ISPs route traffic locally, helping to contain costs in a tight economy, while users benefit from reduced latencies." While the INX-ZA exchange points were established primarily to support ISPA members, since 2008 the exchanges have been open to participation from any organisation. Last year, INX-ZA announced the JINX had added a fourth data centre node and the CINX would be extended to become its third multi-site exchange point in Africa. The expansion announcements followed an agreement between INX-ZA and Liquid Telecom SA. The JINX data centres include Teraco in Isando, Liquid Telecom in Midrand, Hetzner in Samrand and the original site in IS Parklands. Nishal Goburdhan, manager at INX-ZA, says Diep Rivier was a natural fit for the CINX and will promote competition among the existing data centre operators, which would now be forced to compete aggressively. "Diep Rivier is the Cape Town location for Liquid Telecom's SA data centre, a carrier-neutral data centre. Extensions to the CINX fabric provide freedom of choice, for Internet businesses, in choosing which data centre they would prefer to host their infrastructure at. Cape Town businesses are free to choose a data centre that best suits their purposes and budgets, and still be in a position to get access to the peers (networks) that are available at other data centres that are supported by the IXP," explains Goburdhan. Networks at the new site will have the same peering experience and will be able to be directly linked to all existing and future CINX peers, with no additional complexity, he adds. SA's Internet community has been investing in INXs for the better part of two decades and continues to do so as economies globally look to the Web to power growth. 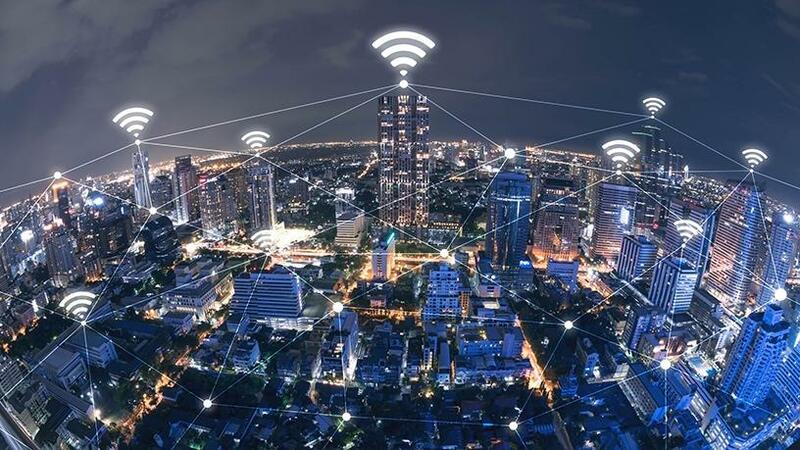 Internet exchanges in SA have historically been limited to a single location requiring network operators using the exchange to invest in infrastructure connecting to that location. According to non-profit organisation, the Internet Society, Internet exchange points play a significant role in creating Internet capacity and bringing autonomy to developing nations such as SA. However, they are plagued by many challenges, such as unsupportive regulatory framework, cost of network infrastructure and lack of trust between service providers. "The absence of reliable and affordable local infrastructure can reduce the incentive and justification for operators to develop and connect to an IXP. In many African countries, purchasing a domestic leased-line across a city or region to connect to an IXP can be as, or more, expensive than sending traffic through an international link. "Furthermore, the cost of operating IXP infrastructure in a neutral facility can present challenges. In many countries, costs associated with leasing space, ensuring reliable power supply, providing adequate air-conditioning, security and hiring IXP maintenance staff can outweigh the savings that participants might realise from its operation," adds the Internet Society. Once these challenges are taken care of, IXPs can provide a more efficient exchange of local traffic and improve the quality of Internet services. Network operators can also benefit from lower costs, resulting in more affordable bandwidth which is crucial for accessibility of the Internet, adds the Internet Society.